Longs Peak Disc Golf Club will be holding our annual first tags and fundraiser event together again this year at Rogers Grove and Loomiller Park on Sunday, March 10th. The event will consist of two rounds of 10 holes at each park with fundraiser prize drawings and tag distributions afterward at Grossen Bart Brewery. The fundraiser event is OPTIONAL and not required, but you must purchase a 2019 LPDGC membership to play this event. The fundraiser part of this event will be a 50% cash payout in each division and the other 50% goes back to the club. We are changing the way we’re doing fundraiser by putting out 3 CTPs per hole: 1 for Pro and Adv, 1 for Rec, and 1 for Womens. The CTP winners will receive 5 extra raffle tickets for the fundraiser prizes at the end. ALL FUNDRAISER REGISTRANTS WILL RECEIVE A RAFFLE TICKET FOR ALL OF OUR DONATIONS! You do not have to be present to win but we do encourage all to show up after the round if you can. If you have any questions regarding registration options or anything else regarding the event please call, text, or facebook message Brett Rosso (303-507-9545). 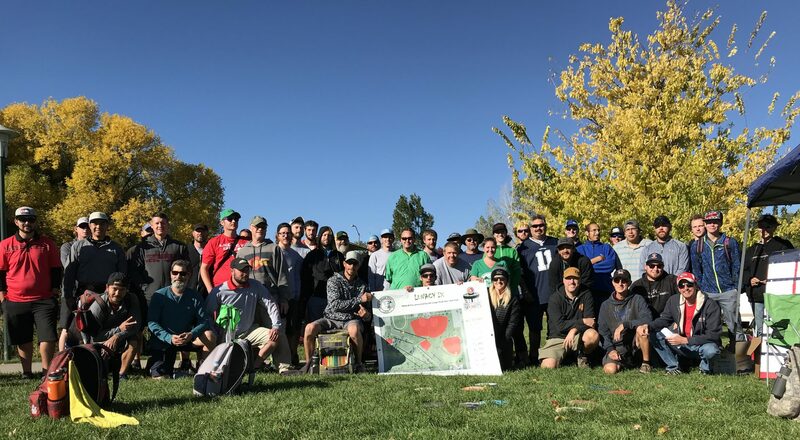 Thanks again for supporting Longs Peak Disc Golf Club in 2019.